Last week a question was posted on the Vegetable Gardening Facebook page. The question was very simple. Do you use blood meal in your Vegetable Garden? The responses to whether or not blood meal is used your vegetable garden were great. The answers on blood meal ranged from `What the heck is blood meal?`, up through and including `You would have to be absolutely crazy to use blood meal at all!`. So let’s tackle these blood meal concerns. What is blood meal? Why would you use blood meal in your vegetable garden? Is blood meal safe? Where do you get blood meal? And finally, how much does blood meal cost? These are all great questions on blood meal that need to be answered. First, what is blood meal? Blood meal is a dry non-reactive powder derived from blood. Blood meal is one of the highest sources of nitrogen not derived from chemicals. So where does the blood come from for blood meal? If you are an animal lover or vegetarian you may not like this next part, and that is, most blood meal comes from cattle as a slaughterhouse by product. Yeah I know, it does not make you feel all warm and fuzzy inside, but it is a reality. Why would you use blood meal in your vegetable garden? As mentioned previously, it is a great source of nitrogen … Nitrogen is an extremely important element for growing most veggies. Have the leaves on your vegetable plants turned yellow? Chances are that is because your soil lacks nitrogen. Nitrogen is an important part of photosynthesis. It is a component of chlorophyll, the compound by which plants use the sun to produce sugars. Blood meal gives you the opportunity to add nitrogen back into your soil. 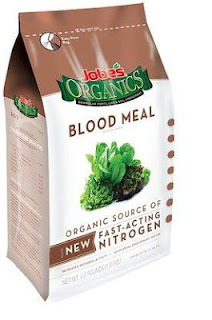 Because blood meal is such a high source of nitrogen, you won’t need to use a lot of it. Blood meal has also been shown to help deter animals from your garden that may otherwise do damage to your plants such as rabbits or deer. According to the USDA`s National Organic program, blood meal is permitted to be used as a certified organic soil amendment, it cannot however be fed to organic livestock. Yes blood meal is safe, but just like anything else you buy; know who is making the blood meal you plan on purchasing. In other words, read the label of the packaging the blood meal comes in. You can purchase blood meal, both organic and non-organic, from any home or garden center, or online at such websites like Amazon. Blood meal is packaged in a wide variety of sizes so be sure to take a look at the weight on the packaging so you get the most for your money. Most blood meal packages should will tell you the concentration of Nitrogen to the other elements potassium and phosphorous in a reading such as 13 – 0 – 0. If it does not, you may want to consider a different brand. So how much does it cost? That really depends on how much you buy. Prices can range anywhere from $1.50 to $3.00 per pound. Those same prices will also depend on the manufacturer. You have plenty of blood meal choices out there. One final note, and you will read this on most blood meal packages, you do not need a lot. Most recommendations are about 1 cup of blood meal for 20 square feet. Just be sure to read the packaging on the brand that you go with. Too much, and you could fry your plants. Wouldn’t you like to increase the chances of your vegetable seeds not only germinating but developing strong roots in their early growth stages? I have been vegetable gardening for over 30 years and a retailer of vegetable seeds with our Seeds of the month club for just over three years. As you can imagine I run into a wide variety of vendors in the vegetable gardening industry that make claims to be the best, the greatest and the only product you, your garden or your vegetable seeds will ever need to grow into big and strong vegetable and fruit producing plants. Some of these vegetable gardening products are just ok, and many are complete duds, border lining unsafe to have near my family let alone spray on my seed starting soil. There is one vegetable gardening product though that I can’t brag enough about. It is safe, great for your vegetable seeds, inexpensive, produced right here in the United States, and quite frankly I don’t think you will find another person in this industry that is happier to sell a product of this sort, and her family has been doing it for decades. Now that is a track record. I first learned of Annie Haven about 3 years ago when I was perusing an article in a magazine I subscribe to. Compelled by how well that article was written about Annie, I looked up her company and a phone number and gave her a ring. I wanted to learn more this vegetable gardening product line that she was selling, how in the world she got into the business, and what it can do for my own customers when they go to germinate their vegetable seeds. It took all of about 30 seconds on the phone with her to realize she is as genuine as they come in the vegetable gardening industry and is passionate about selling her product line. Nestled in San Juan Capistrano, California, Annie Haven, owner of Authentic Haven Brand produces a special line of all natural soil conditioners. This soil conditioner, also known as manure tea, is harvested from Annie’s own livestock. Since 1924, Annie and her family have raised only natural grass fed livestock. It has been about the last 20 years though where they have harvested their livestock’s manure, seasoned it and packaged it for the general public to be used as manure tea for the home vegetable gardener. The process is very simple. You take one of the manure tea bags and steep it in 1 to 5 gallons of water for about 1 to 3 days. Then use the mixture to water your garden soil with. If the organic health benefits of using such a product line with your vegetable seeds were not enough, they took the extra step of using a manure tea bag that is biodegradable and can be thrown right into your compost pile, once you completely use up the manure tea bag of course. The manure tea bags come in three varieties, Horse manure, Cow Manure and Alfalfa. Annie recommends using the horse and cow varieties for vegetable gardens and the alfalfa on roses. While I will be the first to say that I did not conduct any scientific testing, I did use the manure teas on some black beauty eggplant and compared that to some I grew without the teas and the results were remarkable. The manure tea treated eggplants had a better root system, looked lusher and greener in the leaves, and the fruit itself seemed sturdier (although I had no other way to verify this other than feeling it). Since that time (about two years) that I conducted my informal testing, I have used Annie’s manure tea in my garden ever since. I will soak my vegetable seed starter soil when I plant my seeds, then water my gardens with the manure tea every two weeks throughout the entire vegetable gardening season. You have begun receiving your vegetable seed catalogs or you have been receiving vegetable seeds every month with your Vegetable Seeds of the Month Club subscription. Thoughts of bountiful harvests from all of those vegetable seeds are dancing through your head, but before you get ahead of yourself, you want to ensure that the vegetable seeds you already own or the vegetable seeds you are about to buy, will germinate and thrive. Here are some tips to help start your vegetable seeds. Read, understand and follow the planting instructions on the back of your vegetable seed packets. These vegetable seed instructions pertain to the vegetable seeds within that packet and will help increase the chances of success. On the back of your vegetable seed packets you will see everything from planting depths to distances and when you can expect your vegetable seed to fully mature into fruits that you can actually harvest. Many, if not most of your vegetable seeds will be started indoors. This gives you a jump start on your vegetable garden while the temperatures outdoors might be too cold. The items you will need to start your vegetable seeds indoors, are of course, your vegetable seeds, vegetable seed starting soil (homemade or purchased), something to put your seed starting soil in, and an area that receives adequate sunlight throughout the day such as a window sill. Once your pots (or other vegetable seed starting container) are set up with your vegetable seed starting soil, place your vegetable seeds in the pot as per the directions on your vegetable seed packet. You will thin them out later into their own pots. Make sure you label your vegetable seed pots. You may think you will remember where you planted your vegetable seeds, but over the course of a few weeks, you may forget. Water your pots that contain your vegetable seeds, but do not saturate. The best environment for starting vegetable seeds is a humidity dome and/or a green house. Obviously a greenhouse takes up a lot of room and can be costly; a humidity dome on the other hand can cost just a couple of dollars and takes up very little space. Consider one of these options when starting your vegetable seeds. You will also have to water less with a humidity dome. Once your vegetable seeds have germinated and become seedlings, you will need to thin them out into their own pots. So be sure to plan ahead if you are limited on room. 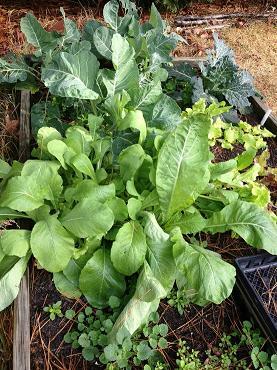 Once you start thinning your vegetable seedlings, room is a factor. As your vegetable seedlings turn into larger plants, be sure to transplant into larger planting containers with new vegetable seed starting soil. This will make sure you are not restricting their root’s growth. On a final note. Before you can transplant your vegetable plants from the indoors to the outdoors, you have to harden them off. That means acclimating your vegetable plants to the outdoors. This is simply done, by taking them outdoors during the day, and bringing them in at night when the temperatures to begin to drop. Once the temperatures are where they should be for the variety of vegetable seed you have planted, you can leave them outdoors overnight or transplant them into their permanent location in your vegetable garden. If you want to ensure that the vegetables you grow are the healthiest they can be, then you must be involved in the growth of your vegetables from the start and that means growing them directly from vegetable seeds as opposed to buying established vegetable plants. Now that is not to say that the vegetable plants you buy from your local garden nursery or home center are bad. It simply means when you start your vegetable plants at home from vegetable seeds you are in complete control of the environment in which your vegetable seeds will germinate and where they will grow. This is important, because when you start directly from vegetable seeds, you get to choose the vegetable seed starting soil. The better the vegetable seed starting soil, the better the start will be for your vegetable plants, and in turn the healthier they can become. Just like a tall skyscraper needs an excellent foundation, so do your vegetable plants. This foundation is your vegetable seed starting soil. The best vegetable seed starting soil you can have is one that actually contains no soil at all. 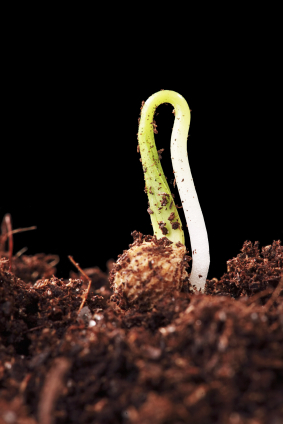 Instead your vegetable seed starting soil is made up of three different ingredients. Whether you make your own vegetable seed starting soil or buy commercially packaged vegetable seed starting soil, all should have these three main ingredients. Each of these three ingredients serves a purpose that helps your vegetable seeds germinate. What you should be looking for in your vegetable seed starting soil is an ingredient that helps with water absorption so that you do not over water. That usually comes in the form of perlite or vermiculite. Both readily available at any garden center in its own form and will also be included in many commercial vegetable seed starting soils. The second ingredient that should be on your radar is something that will make your vegetable seed starting soil loose and friable. Two good choices are sphagnum moss aka peat, or coir, which is the fiber extracted from the husks of coconuts. Both can be found at local home and garden centers or online. Finally, your vegetable seed starting soil must contain some form of fertilizer otherwise the vegetable seed will not get the nutrients needed for proper germination. There are a wide variety of choices and combinations here, but the simplest vegetable seed starting fertilizer you will find is compost. Easily made at home, you can add in your own compost to your vegetable seed starting soil, which gives you a true, self made vegetable seed starting soil. So how do you make your own vegetable seed starting soil with the items mentioned above? Making your own vegetable seed starting soil is very simple. Combine equal parts of all three ingredients, that is one part perlite or vermiculite, one part peat or coir, and one part compost, then mix them together. Your homemade vegetable seed starting soil has everything your vegetable seeds need to germinate properly. As mentioned earlier, you can also purchase vegetable seed starting soil from your local home or garden center. There a variety of different combinations of ingredients that are used with commercial vegetable seed starting soils, so be sure to read the packaging to know exactly what you are buying. Some are formulated for specific vegetable varieties, such as tomato or pepper mixes, make sure you read the bag before you buy.